They are made of cotton, cotton blend, polyester and fleece material. Some of them come as wearable blankets for use during cold weather. Their design can be straight and simple or may be decorated with appliques, ruffles or embroidery. Most of them are machine washable and flame resistant. You can choose from a wide selection of solid colors, vibrant prints or subdued pastels. This single piece design has an open bottom that is secured with elastic. The legs are allowed to move freely while still being covered. There is plenty of room for your baby’s legs to move about. Most of them are made of cotton material. They have a soft touch with cute patterns and designs. 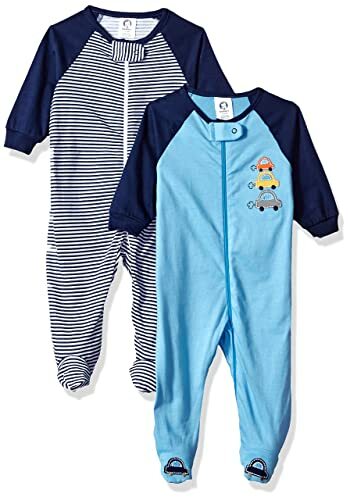 Their design makes it super easy to change your kid in the middle of the night since you are not required to fuss with zippers or buttons. These sleepers are available in a cool cotton material. They are lightweight and breathable. Most of them have a zip front that opens down to the leg area which makes it a breeze to change diapers. They are easier to fasten when dressing the baby. They are easy to take on and off. 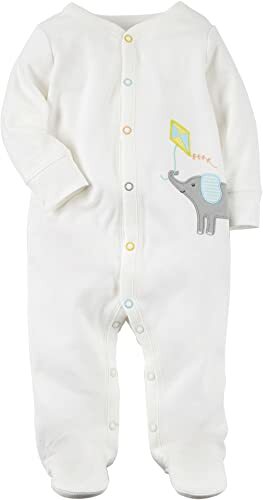 They have been designed to keep baby warm and full covered all the time.The following also have fitted cuffs and snap tabs over the zippers to protect the chin. These are made of polyester material and are flame resistant. They are well made and the fleece doesn’t get pilly and gross. They are thick, comfortable and warm for those cold winter nights. They are designed to fit snugly. You will find them in a wide range of designs and colors. This footed sleeper has a gusseted crotch in order to provide extra room in the diaper area. It is available in different colors. It is made of high quality 100% polyester material. It comes with a full zip closure system and non-slip soles in order to prevent slipping. It is thick, warm and best choice for winter periods. It has been designed for both boys but you can view girl’s designs here. It is machine washable. 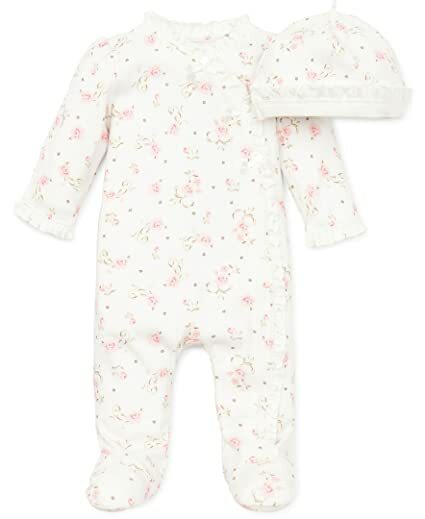 These sleepers feature full snap closure that allows for easy changing of diapers. 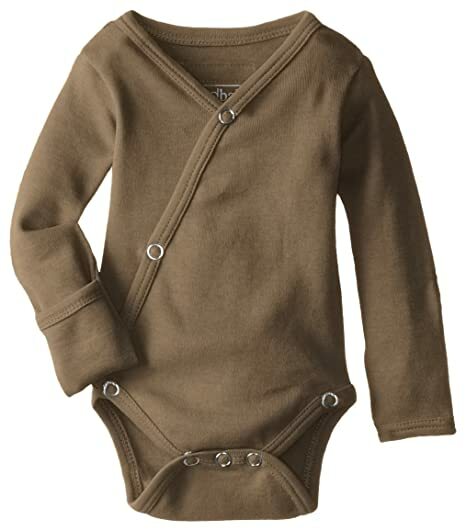 With the snap closure design, it is usually convenient and easy to dress your newborn carefully. These suits are well made and easy to clean. They are super soft and usually offer a perfectly snug fit. Available in different colors and sizes. This footed coverall comes with a matching hat. It comes in ivory and off-white colors. It is made of high quality 100% cotton material. It comes with a full inseam snap closure system that allows for easy changing of diapers. It has a cute giraffe applique art design on the chest area. It is nice and thick and ideal for both boys and girls. It is machine washable. 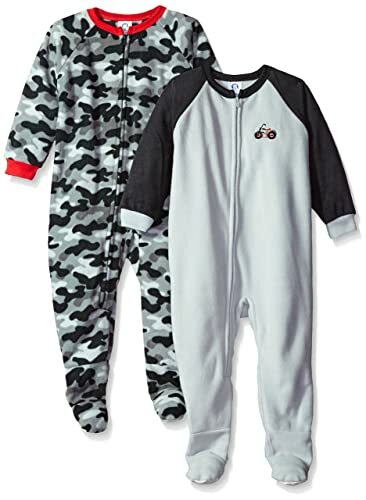 These are great for moms who are looking for an easy way to change and dress their baby at night. Most of them come in a wrap around design, and you do not have to put it over your newborn’s delicate head. They come with long or short sleeves. Most of them come with side and bottom snap closure design. They wash and dry very well. 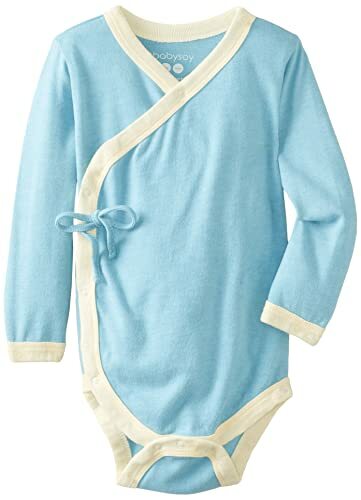 Choosing the right nightgown will help to ensure that your child is comfortable and happy as they drift off to sleep each night. It is important to factor in the material that has been used to make the gown. Cotton, for example, is ideal for all weather but more soothing when it comes to hot days. Due to its breathability, it absorbs sweat from the body, keeping it cool even in hot weather. At the same time, it’s lightweight feature adds up to the comfort required while sleeping. They are durable and are quite affordable. Polyester is easy to wash and maintain. It does not crease easily and because it is too skin friendly, gowns made from it should be designed to fit snugly. It is long lasting, warm and comfortable though it can easily slag and loose shape. 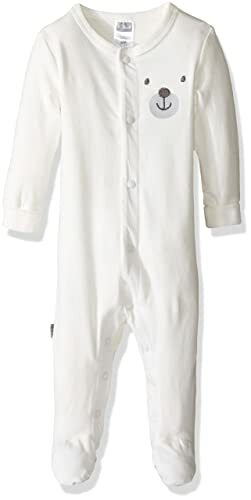 Get one of these for your baby for a fun, fresh and exciting bedtime.